Dragonfly Clips | Pi'ikea St.
Clothespins are pretty handy to have around but they can be pretty drab looking. Our solution? 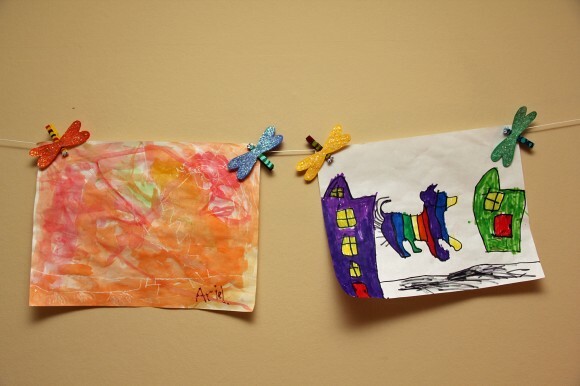 Turn them into dragonflies! It’s so easy and your kids will have fun making them. Prepare your wings by first cutting out wing shapes. Then spread glue onto one side of the wings. 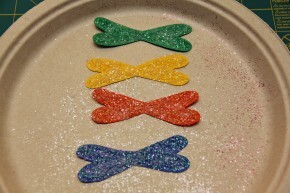 Generously sprinkle on glitter and allow the wings to dry. Next, paint your clothespins. Add stripes to really give it a dragonfly look. Allow to dry. Add wiggly eyes to one of the ends of the clothespins. Glue on a set of wings. Allow to dry. 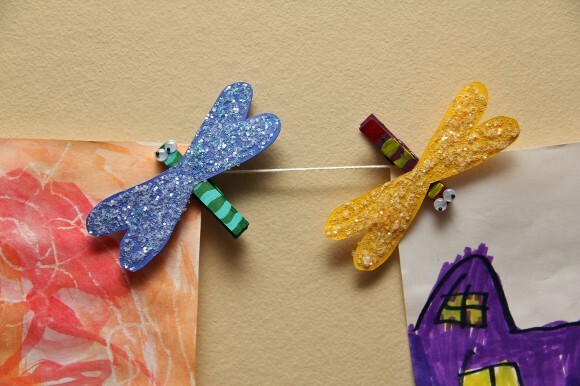 Once all that glue is dry, your dragonflies are ready to be played with. Or, use them to hang your paintings and drawings in your art gallery. Don’t they make a great addition? Enjoy!